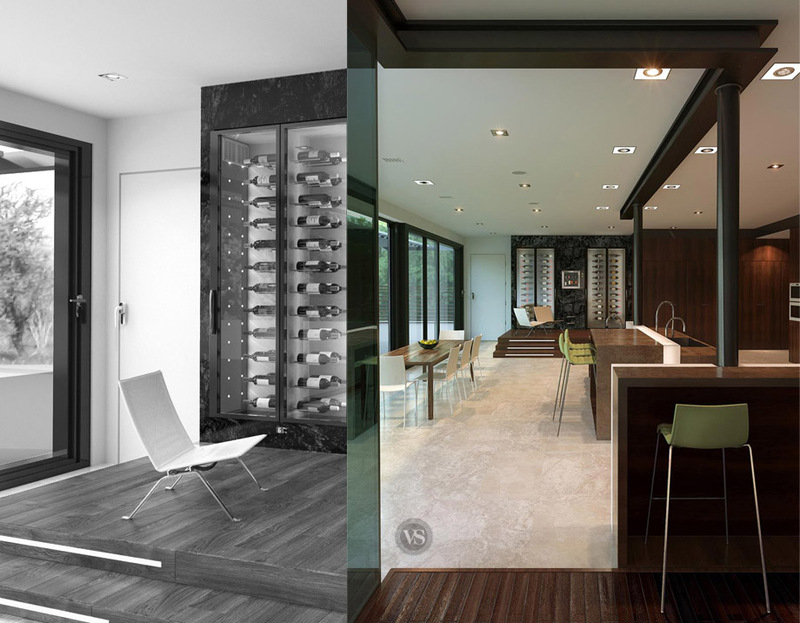 This wine cellar, dedicated to still wines and sparkling wines preservation, is a perfect example of the actual trend of balancing the assembly of natural materials : the platform is in natural oiled wood and the cladding in green sea marble. The service of wine is here at the heart of this concept. 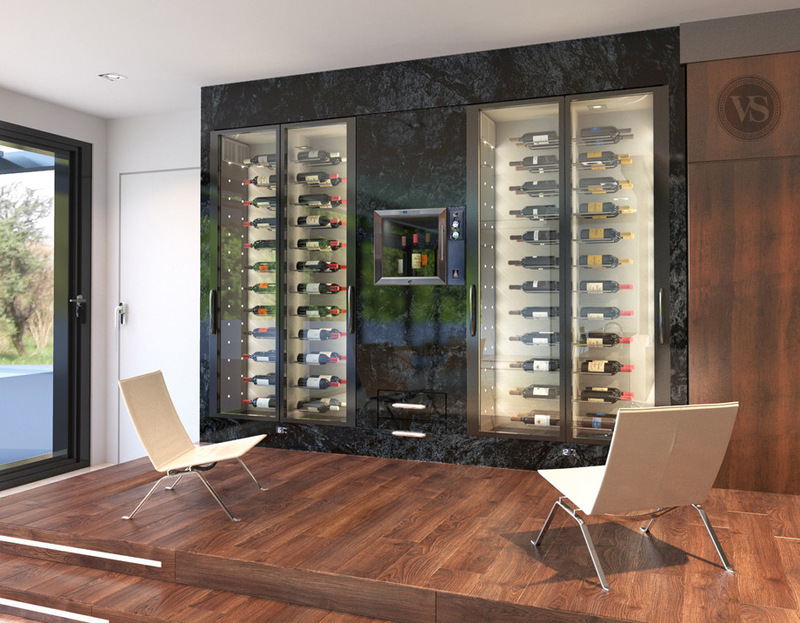 The specificity of this design, is the integration of a wine preservation system named PodBar. This professional system enables the preservation of still wines and sparkling wines opened bottles up to 3 weeks. Assembled here to a 8 bottles service wine cabinet, this system is a perfect service solution : perfect quality at the perfect temperature !